You guys. Imagine the scene. I'm at Volumes Book Cafe with a group of writers from Book Riot. I turn the corner. 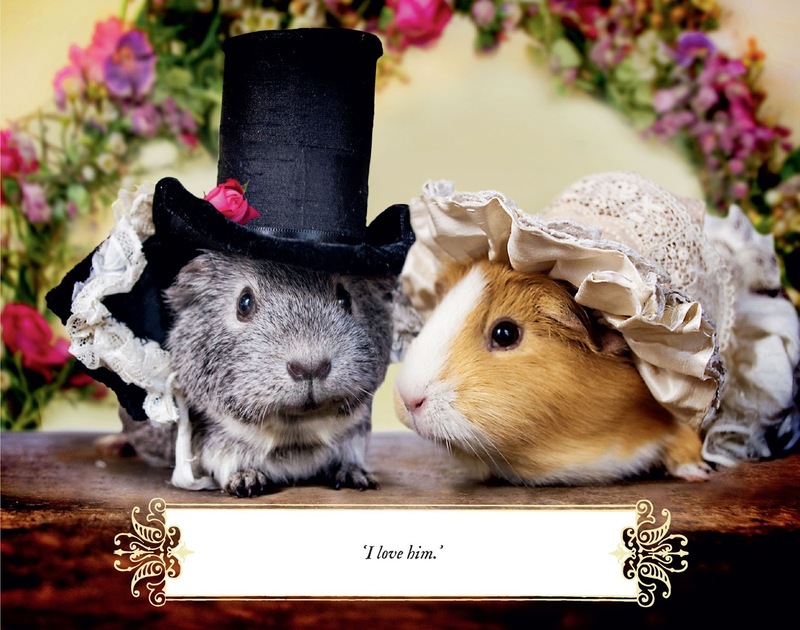 And I see a picture of a guinea pig dressed up like Elizabeth Bennet. You know how sometimes, something strikes you as unspeakably hilarious that perhaps confuses those around you? 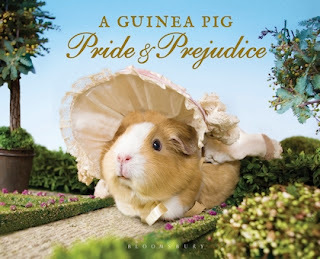 Every new page I saw in A Guinea Pig Pride & Prejudice had me doubled over in paroxysms of laughter while my fellow Book Rioters stood there, staring at me. BUT I DID NOT CARE because guinea pigs were wearing bonnets. 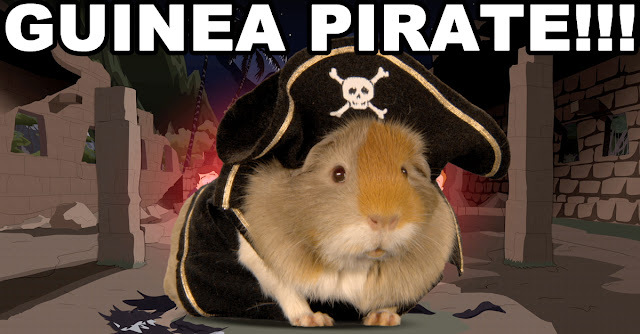 Guinea pigs wearing bonnets is my new favorite thing. Guinea pigs being said to emote at all is hilarious because they are the Bartleby of rodents, and if they could say anything it would most assuredly be "I would prefer not to." Because they very clearly just want to sit there and do nothing. Which is why you can put bonnets on them. This guinea pig book is displayed cover out on my bookshelf, because how can you not. Bloomsbury has an Oliver Twist coming out soon which omg I am so excited about I cannot even. Let this series continue forever.